The synergy between SMARTank, SMARTLynx and SMARTruck provides a beginning to end digital order creation and delivery, BOL/loading data and inventory reconciliation solution. It’s fully integrated with DM2, PDI and Firestream Ascend, and interfaces with ADDS, RAX, Trinium, JDE and SAP. From monitoring to reconciliation, only SkyBitz delivers it all. Don’t need it all? No problem, simply choose what best suits your needs. Talk with us today about how tomorrow can be so much easier for everyone in your company. Visit skybitz.com to learn more. Logistics Processes Stuck in the â&#x20AC;&#x2DC;90s? Gary Bevers, Group Publisher As I was growing up in Texas, half my family worked in petroleum, trucking and automotive-related businesses. The other half were family farmers toiling away in South Dakota. Every year we would make the long drive from Corpus Christi to visit the South Dakota relatives. I remember each Spring my uncles looked forward with anticipation to the new growing season, watching for any early indicators, or “signs,” to tell them when to start planting their crops. They looked to The Old Farmer’s Almanac, took note of Groundhog Day to see if the groundhog saw his shadow, paid attention to the last big day of snow and any signs of early warm weather, etc., to guess if it would be a good crop year or not and when to start planting. It is interesting to see how similar and imprecise this process is compared to the methods economic analysts use for predicting the coming market performance. The market storm clouds that gathered at the end of 2018 quickly dissipated with the start of the new year, causing most economic prognosticators to quickly revise their 2019 prediction misses. This is most evidenced by the Fed calling off their scheduled rate hikes for the rest of the year. So, as most analysts missed on their 2019 predictions of an impending Bear Market economic slowdown, here are a few of their new, revised headlines… The U.S. economic outlook is healthy according to the key economic indicators. The most critical indicator is the gross domestic product that is expected to remain between the 2% to 3% ideal range. U.S. manufacturing is forecast to increase faster than the general economy. The markets and the overall economy are up as Mainstreet continues to create jobs at a record pace not seen in decades. The jobs unemployment index is at a 49-year low. The actual number of employed workers continues to rise. Increased wages have brought workers who previously left the workforce off the bench and back into the economy, exceeding what technically is considered by experts as “full employment.” Risks of economic disruption—in particular, interest-rate hikes and major trade disputes—are receding, so another positive sign for growth. And closer to home, the NACS’s State of the Industry (SOI) report stated that total U.S. convenience store sales surged 8.9% to $654.3 billion in 2018, according to data released today. The boost was led by a 13.2% increase in fuel sales, while in-store sales grew 2.2% to a record $242.2 billion. With the reversal of the economic flatlining predictions, 2019 should be another great year for the convenience and fuels market. Consumer spending is up with renewed optimism about the economy. Miles driven and gallons consumed are up. Retail fuel margins are climbing. And, finally, crude prices are predicted to remain moderate, keeping gas prices low for the rest of the year. Overall pretty good news for 2019. Now With CG Technology Corrosion Inhibitor Package! X-TENDED PROTECTION+J GASOLINE: X-Tended Protection+J Gasoline (XP+) contains an advanced additive package that goes “Beyond Top Tier” performance to protect and extend engine life, boost performance, improve fuel economy, reduce maintenance expenses and help with ethanol related problems. It is supported by an aggressive branding and educational program designed to build driver awareness and preference for its superior performance qualities. DIESEL GUARDJ HIGH PERFORMANCE DIESEL: Diesel GuardJ High Performance Diesel represents the gold standard among diesel operators who rely on its expansive additive package to boost performance and reduce downtime and maintenance expenses. Its time-tested and results proven advantages, and new proprietary Corrosion GuardJ corrosion inhibitor package, make it the “go-to” brand for operators looking to build island traf c and drive customer loyalty. The U.S. has reduced CO2 emissions three years in a row, for the ﬁrst time in history, and the U.S. produces less CO2 than Canada, China and the rest of Asia. However, the green movement rolls on with the new left looking to use planetary doom to expand government oversight, redistribute income and punish the prosperous despite the inconvenient truth that transport fuels account for less than 25% of CO2 emissions. This is less than agriculture and geological (wild ﬁres, volcanoes, ocean vents, etc.) emissions combined. There is a signiﬁcant challenge in stopping what is a quasi-religious movement. The desire to raise more revenue while seizing the moral high ground is simply too irresistible. With the alternatives being far worse, a carbon tax would be the least disruptive to markets, the easiest to administer and the least distortive. Joe Petrowski Joe Petrowski has had a long career in international commodity trading, energy and retail management and public policy development. He currently serves as Director of Fuels for Yesway, where he oversees all operations of the fuels team, including pricing, procurement and management of the firm’s fleet services program. In 2005, he was named President and CEO of Gulf Oil LP and elected to the Gulf Oil LP Board of Directors. In October of 2008, he was named CEO of the now combined Gulf Oil and Cumberland Farms, whose annual revenues exceed $11 billion and that now operates in 27 states. In September 2013, Petrowski stepped down as CEO of The Cumberland Gulf Group. He is Managing Director of Mercantor Partners, a private equity firm investing in convenience and energy distribution and a member of the Gulf Board. The plan is utopian in nature, massive in scope (beyond the realm of feasibility) and seems to have as much, if not more, to do with social justice issues not specifically related to carbon remediation. Alexandria Ocasio-Cortez’s (D-NY) “Green New Deal” (GND) has caused quite a stir. It proscribes a move to 100% clean energy by 2030, just 10 years, to offset human influenced or Anthropogenic Global Warming (AGW). While this is a “simple resolution” that lacks the force of law, it clearly defines the policy objectives of the environmental left and its political faction in the Democratic Party. Co-sponsor Sen. Ed Markey (D-MA) has indicated he will begin drafting a bill to support the resolution. The driver for the need for such a massive disruption of society and the economy is the most alarmist view of climate change. The GND states: “IPCC Report said global emissions must be cut by 40 – 60% by 2030 [Editor: Again, in just 10 years]. U.S. is 20% of total emissions. We must get to 0 by 2030 and lead the world in a global Green New Deal. It goes on to list such environmental impacts as wildfires that, by 2050, will annually burn at least twice as much forest area in the western United States than was typically burned by wildfires in the years preceding 2019 and the loss of more than 99 percent of all coral reefs on Earth that will occur if this is not met. While presented as fact, these are speculative. In fact, there is currently a notable debate going on among scientists that support AGW as to the severity of potential outcomes, including potentially beneficial results. From Bjørn Lomborg, former director of the Danish government’s Environmental Assessment Institute (EAI) in Copenhagen writing in 2016 in the UK’s Telegraph: “If our climate conversation managed to include the good along with the bad, we would have a much better understanding of our options. Climate economics does just that, taking all the negatives (like rising sea levels and more heat deaths) and all the positives (a greener planet, fewer cold deaths). A climate economics approach finds that today—contrary to the alarmists’ massive insistence on negatives-only stories—global warming causes about as much damage as benefits. Over time, climate becomes a net problem: by the 2070s, the UN Climate Panel finds that global warming will likely cause damage equivalent to 0.2 per cent to 2.0 per cent of global GDP. This is certainly not a trivial cost, but nor is it the end of the world. It is perhaps half the social cost of alcohol today.” However, such an outlook removes the primary motivator for “solutions” that go far beyond climate science but need an existential emergency to push through on society. The GND’s focus on social justice in the climate realm is not surprising. This has long been a core component of the AGW remediation debate and one that has significantly politicized and clouded the discussions. Socialism can mean traditional safety nets like Medicare/Medicaid, Social Security and a hand up for those down on their luck, through measured welfare programs. Democratic socialists believe in foundational socialism with strongly Marxist overtones. As the Democratic Socialists of America (which is Cortez’s affiliation) state in their “about” materials: “Democratic socialists do not want to create an all-powerful government bureaucracy. But we do not want big corporate bureaucracies to control our society either. Rather, we believe that social and economic decisions should be made by those whom they most affect. This conceptually ties back to the Malthusianism of the late 18th and early 19th century, carried through to Paul R. Ehrlich’s “The Population Bomb” of the late 1960s. Basically, overpopulation trends will kill the planet and endanger survival. Marxists quickly developed a resource redistributive concept from that more attuned to their political goals. This is an important aspect of the debate. If you wish to claim that the science is settled (“settled science” is contradictory); or that there is a scientific consensus (there is not), then you have to equally acknowledge that there are significant political and economic forces at work on the left (including inside the scientific community) in addition to similar claims made against the right. The GND is very transparent on this, though it has been observable over the years. “Today, corporate executives who answer only to themselves and a few wealthy stockholders make basic economic decisions affecting millions of people. Resources are used to make money for capitalists rather than to meet human needs. [Editor: Do 401K holders count?] We believe that the workers and consumers who are affected by economic institutions should own and control them. It has been argued by opponents that the GND will overhaul the economy in the same way an iceberg overhauled the Titanic’s seaworthiness. this sump is a watertight wonder. The GND basically specifies far, far more deficit spending on top of an already disturbing 22 trillion-dollar debt load. There are a range of unsupported claims for a positive economic outcome both financially and in terms of jobs. In a comparison to World War II the FAQ states: “We invested 40 – 50% of GDP into our economy during World War II and created the greatest middle class the U.S. has seen. The Democratic Party has relied increasingly on a coalition of highly progressive identity groups in recent years and is Politically, millennials are a beholden to provide the maximum amount of support politically core component of the Democrat base and support many progressive possible to each of those groups or face serious consequences in intersectional issues. Polling voter turnout and campaign conducted by the left-of-center support. • The Axis powers were not able to damage the U.S. economy through military action. The GND would correct that and likely inflict severe damage on the economy as it exists now with a questionable ability to create a superior replacement. Nation suggests that climate change is a major concern for millennials and shows strong support for the GND. Interestingly, that same poll shows that support drops (but does not reverse) when millennials are informed of the actual financial costs and sacrifices that would have to be made to support such policies. • At the end of World War II, the U.S. was the strongest economic power in the world, with virtually no competition for the next 20 years. The post-war golden era began to grind to a halt when foreign cars, steel and other products started entering the global market in the 1970s. The U.S. currently faces strong economic competition throughout the world that will not be undertaking a GND of their own. • Because the U.S. had tremendous surplus manufacturing capacity at the end of the war, it enjoyed considerable business rebuilding much of the war-ravaged, non-communist world. • The U.S. had cheap access to abundant fossil fuels and built an efficient petroleum refining and distribution system that helped both win the war and drive the post-war boom. After a period of decline, that is once again the case. The GND aims to kill our current energy revolution. While there is little likelihood for such policies being passed through 2020, any significant change in the political landscape after the elections could shift that, perhaps in some significant ways. Many progressive environmentalists have even gone on record since the release stating that getting off carbon in 10 years is not feasible, but aggressive actions along those lines to support the base—well beyond cap and trade or a carbon tax—would not be unexpected. It would be easy to dismiss this as the fantasy of an inexperienced and ill-informed Junior Congresswoman with an extreme agenda if not for the disturbing amount of support it has received from the rest of the Democratic Party, including many senior members. Speaker Nancy Pelosi (D-CA) has been dismissive and declined to name Cortez to the new Climate Change Committee. However, this illustrates the well-documented divide between the aggressively progressive base of the party and what remains of the more moderate “Blue Dog” contingent. The maritime market consumes approximately 3.5 million barrels per day of high-sulfur fuel or 4 percent of total demand. both supply and price perspectives. Many of those same concerns have been raised for this shift. This rule is seen as being highly disruptive to the shipping industry and likely downstream with higher prices working into to the retail sector. It is also seen as being disruptive to the refining industry. FUELS & SUPPLY shortage of light, sweet crude to facilitate more lowsulfur products and shifts in production strategies. This is er prices during a transition period for bunker fuel but also diesel, jet fuel and heating oil. There is also the potential to marginally impact gasoline. There have been some extreme predictions and some that were far more moderate. Analyst Philip Verleger predicted in 2018 that prices could peak at $200 per barrel. At about the same time, Morgan Stanley predicted a potential of $90 per barrel oil. Other analysts predict a 25 – 30 percent increase. This will tend to be a short-term disruption of a few years with the market stabilizing over time. Goldman Sachs sees an increase in scrubber use as leading to less of a crisis. FMN asked analyst Alan Levine, Chairman of Powerhouse, for his thoughts on the issue. Levine is an internationally recognized expert in pricing and business practices in the energy industry. A petroleum specialist for over 40 years, he is a highly regarded authority on the relationship of energy futures to cash petroleum markets. Levine was a consultant to NYMEX at the inception of the heating oil contract in 1978 and is a hedge adviser to many energy interests. Powerhouse provides hedging plans, price monitoring and buy and sell order execution. would imagine if the most bullish FMN: Imarket predictions come true—oil hitting $200 per barrel—there wouldbe some intense pressure to back offon the regulation for some period of adjustment time. You bring up an important thing when you talk about LEVINE: exceptions. We’ve had any number of things that have come out that would imply oil prices will go to the moon, like imposing sanctions on Iran. So, when it comes to it, they impose the sanctions but then give everybody a waiver. I think you might also have the same thing here. However, there have been strong reservations expressed about granting waivers or adjusting deadlines. of the concern is that sour crude is difficult to FMN: Much process into low-sulfur fuels, thus creating shortages and putting a premium on light, sweet crude. As the U.S. fracking production tends to be lighter crude this could potentially provide some offset. There is a short time left but a lot of options. What is your take on this potential oil and fuels crisis? domestic production has risen. We’ve been showing nearly 12 million barrels a day on the weekly reports. And as they bring more and more pipeline capacity online in Texas, that will get into the market and work against higher prices. me that many of [the shipping companies] are coming down on the side of going with some kind of scrubber, at least long-term. Because, there’s this concern that they pull into a port and that port doesn’t have the low-sulfur fuel they need. What do they do then? This creates a problem. That’s not to say that there won’t be some demand on ultra-low-sulfur diesel. I absolutely think there will be. reminds me of the concerns going into the 2010 FMN: This switchover to ultra-low-sulfur diesel (ULSD), which is 15 ppm. I admit to being more than a bit “glass half-empty” in my reporting at the time, because for three straight years up until the deadline I could get no answers from the refining, analyst or distribution community about any real progress toward meeting the goals. But, in the end, it just happened with little drama. In our Winter issue, we presented Part 1 of “Reversal of (Mis)Fortune: Oil in the U.S.” This continuation develops further our theme. Reversing the downward slide in U.S. oil production was a mighty feat, displacing a massive chunk of imports and converting the U.S. into a major oil exporter as well. This is not wholly good fortune when considered from abroad. This article focuses on the change in oil ﬂows and the impact on neighboring oil producers, chieﬂy Venezuela, Mexico and Canada. Impacts on Regional Crude Exporters: Canada, Mexico and Venezuela The massive reduction in U.S. crude import requirements is having profound impacts on neighboring crude exporters. Figure 1 shows the huge shift in U.S. crude imports from Canada, Mexico and Venezuela from 1973 through 2018. From the 1970s through the late 1990s, all three countries were important and growing sources of crude for the U.S. Their exports to the U.S. were roughly comparable in volume, at approximately 1 mmbpd each in the year 1993, growing to around 1.2 to 1.3 mmbpd in 1997. Thereafter, their paths began to diverge—dramatically, after the year 2000. The massive reduction in U.S. crude import requirements is having profound impacts on neighboring crude exporters. Reversal of Misfortune: Oil in the U.S.
Mexico and Venezuela are exporting less crude to the U.S., while Canada is exporting more. Mathematically, this could simply mean that Mexico and Venezuela are exporting their crude to other markets. But instead, it is because their production has fallen. Canadian production has risen. In 1998, Canada exported 1.266 mmbpd of crude to the U.S. This nearly tripled to 3.694 mmbpd during the January – October period of 2018. The average rate of increase has been 5.5% for the past twenty years. Crude Production Diﬀerences: Canada, Mexico, Venezuela As Figure 1 illustrated, Mexico and Venezuela are exporting less crude to the U.S., while Canada is exporting more. Mathematically, this could simply mean that Mexico and Venezuela are exporting their crude to other markets. But instead, it is because their production has fallen. Canadian production has risen. As Figure 2 illustrates, Canadian crude and condensate production have grown dramatically since the year 2000. In 2000, Canadian output was 2162 kbpd. This grew to 4578 kbpd in 2018, according to the Canadian National Energy Board (NEB). Production has grown at a rate averaging 4.3% per year for the past eighteen years. [The Mexican government] enacted constitutional reforms in 2014 that ended the monopoly of the national oil company, Petroleós Mexicanos (Pemex), and began to open the oil sector to private investment, but this has not arrested the downturn in production. Venezuelan production also has been falling. Figure 5 illustrates the steep drop in output, which fell from 2375 kbpd in 2015 to 1336 kbpd in 2018, and to 1106 kbpd in January 2019. Between 2012 and January 2019, output has declined at a rate averaging 10.3% per year. Production is expected to fall even further in coming months, caused by the current social unrest and sanctions imposed by the U.S. Some estimates place Venezuelan production below 900 kbpd this year. The U.S. State Department expects it to fall as low as 500 kbpd by the end of the year under the weight of U.S. sanctions. President Nicolas Maduro deﬁantly claimed that he would “call upon investors from Arabic and Islamic countries to invest their money into developing the oil and gas industry,” and that he would increase crude production by 1 million bpd. Venezuela’s situation is at a critical juncture, discussed in more detail in the section following. Venezuela in Crisis At the time of this writing, the situation in Venezuela has reached crisis proportions. The country has been in a tumultuous state for years, but it appears that larger forces now are in motion that will move the country forward—but the direction is unknown. The country has two Presidents: the incumbent President Nicolas Maduro, who retains control over most of the military, and Interim President Juan Guaidó, the leader of the National Assembly who gained the support of the U.S. and many other countries when it appeared that Maduro’s re-election was heavily rigged. Venezuela has the largest oil reserve in the world, estimated at 303 billion barrels. Venezuela was one of the founding members of OPEC, and it has played a major role in the group’s history. however, it was subject to competing political aims. President Hugo Chavez, who led Venezuela from 1998 until his death in 2013, promised that his Bolivarian Revolution would give power back to the people. Oil revenues provided the money for a wide array of social programs. PDVSA’s payroll expanded, but its operations became less eﬃcient as the money generated was channeled to other political projects rather than being reinvested in the oil and gas sector. In 2002, many PDVSA employees went on strike to protest the policies of President Chavez. He ﬁred approximately 19,000 workers. This included the great majority of the research and development arm, Intevep (Instituto de Tecnología Venezolana para el Petróleo). PDVSA lost much of its ability to compete in the global marketplace. Some employees moved to foreign countries including Colombia and Canada, taking their expertise to the oil industries there, and this brain drain further crippled PDVSA. In the years leading up to the Saudi-led oil price war, global oil prices were very high. Brent crude oil spot prices were over $100/b during the last three years of the Chavez regime, which gave the Venezuelan president a great deal of ﬁnancial leeway. After 2013, however, prices began to fall and the incoming President, Nicolas Maduro, was unable to continue with the socialist system of subsidies and price controls. Venezuela’s economy was reported to be teetering on the brink of collapse—always teetering, but never actually collapsing. The general citizenry has proven extraordinarily resilient, but conditions have grown so dreadful that the collapse may ﬁnally be arriving. In December 2018, consumer prices in Venezuela skyrocketed 1,700,000 percent, up from a climb of 1,300,000 percent in November, according to the country’s opposition-led congress. This is the highest inﬂation rate ever recorded. Protests have been widespread and constant, as many Venezuelans have been unable to aﬀord the basics of food, water and medicines. Adding to Venezuela’s economic woes, a World Bank arbitration panel recently ordered Venezuela to pay U.S.-based ConocoPhillips over $8 billion, ﬁnding that Venezuela violated international law by expropriating ConocoPhillips investments. In January 2019, the opposition party National Assembly Leader, Juan Guaidó, declared himself interim president of Venezuela, stating that the re-election of Nicolas Maduro was illegitimate. U.S. President Donald Trump was the ﬁrst president to recognize Guaidó as the legitimate head of state. The U.S. president was joined by other Western Hemisphere countries including Canada, Brazil, Colombia, Ecuador, Peru, Argentina, Chile, Costa Rica, Guatemala and Paraguay. Australia also announced support for Guaidó. The European Union adopted the cautious stance of requesting that Maduro schedule new elections. When Maduro refused, most of them decided to back Guaidó as interim leader, believing that he will honor his promise to hold legitimate elections. The EU countries supporting Guaidó include Austria, Britain, Denmark, France, Germany, the Netherlands, Poland, Portugal and Spain. Other countries remain behind Maduro, including Bolivia, Cuba and Russia. Maduro has sought aid from Russia and from OPEC during the current crisis. Maduro tweeted thanks for support from Russia, China and Turkey. Maduro also asked Pope Francis for “a dialogue.” Italy is divided on the issue. FUELS & SUPPLY Initially, oil markets took this news in stride, and there was little oil price movement. However, the U.S. then declared that it would issue sanctions on PDVSA on January 28th, stating that PDVSA personnel were plundering the company to engage in criminal activity. The sanctions are intended to isolate President Maduro and cut oﬀ the ﬂow of revenue. PDVSA’s U.S. subsidiary, Citgo Petroleum Corporation, can process Venezuelan crude at its Houston, Texas, reﬁnery, but the revenues are contained in blocked accounts. PDVSA still can export oil to other customers, but some of these exports are for debt repayment, and they do not provide hard currency to the Maduro administration. The U.S. has directed that non-U.S. entities must wind down their purchases of Venezuelan oil by April 28th. The sanctions immediately aﬀected tanker transport in the Gulf of Mexico, with an estimated seven million barrels of Venezuelan crude aﬂoat without destinations. PDVSA scrambled to send cargoes on long-haul voyages to China, Russia and India. PDVSA subsequently declared a maritime emergency because of its inability to pay some of its tanker ﬂeet operators. Some Venezuelan tankers have been seized for non-payment. Adding to Venezuela’s economic woes, a World Bank arbitration panel recently ordered Venezuela to pay U.S.-based ConocoPhillips over $8 billion, ﬁnding that Venezuela violated international law by expropriating ConocoPhillips investments. Venezuela suﬀered nationwide power outages in March 2019, which President Maduro blamed on cyberattacks by the U.S. During the blackouts, both presidents held rallies for their supporters. The situation is in ﬂux, but global sentiment tipped more toward Guaidó during wellpublicized attempts to deliver international humanitarian aid to Venezuela from neighboring Colombia. The U.S. Agency for International Development (USAID) estimates that 3.4 million Venezuelans have ﬂed the country, with nearly 1.2 million going to Colombia. Venezuelan security forces blocked the delivery of humanitarian aid, and violent clashes at the border caused at least ﬁve fatalities. The volume the U.S. will not buy is twice as much as Canada, Mexico and Venezuela combined are exporting currently. That the U.S. would be an oil giant again was hard to imagine after 1973. Hard to imagine in 2008 for that matter. Then the technology matured, and the oil markets will never be the same. At least until they change again. Let’s talk lubricity improvers. Do you need a partner with a full range of ester and acid lubricity technologies that can deliver exactly what you need? Do you demand unrivalled performance from lubricity improvers? Do you need 100% confidence in product quality, and complete certainty that your supply needs will always be met? Can one supplier do all that? Yes! Talk to Infineum. We’ve been a pioneer in Lubricity Additives since their first application in low sulfur fuels. Infineum.com/yes YesLubricity@infineum.com Infineum is a joint venture of ExxonMobil and Shell ‘INFINEUM’, the interlocking Ripple Device, the corporate mark comprising INFINEUM and the interlocking Ripple Device and 润英联, are trademarks of Infineum International Limited. © 2019 Infineum International Limited. All rights reserved. 2018113. The parents’ identity is tightly interwoven with the business—in fact, the identity of the business and the family is often the same. The children feel bad because they do not want to follow in their parents’ footsteps, and they don’t want to lose the income that the store has generated. About once a week we receive a phone call that goes something like this: “I am the son/daughter of a family that owns a convenience store. My mother and father started the business and have decided to retire. They have left it to me to run the business. The problem is that I don’t enjoy being a convenience store operator—it’s hard work. The store is profitable, and we don’t want to sell it. Can you help us?” As you may know, our company, StrasGlobal, provides contract operations for owners of retail sites that do not want to do the daily operations themselves. Therefore, we are the go-to group for families in this type of situation. This is a very emotional subject. Usually, the parents have spent countless hours and long days building and running a successful business. The store has provided a living and, usually, an education for their children. The parents’ identity is tightly interwoven with the business—in fact, the identity of the business and the family is often the same. The children feel bad because they do not want to follow in their parents’ footsteps, and they don’t want to lose the income that the store has generated. So, what are they to do? There are three obvious options. The first is that the children continue running the store. This option often doesn’t work out because the son or daughter becomes resentful—feeling that they were forced into a career that they are not interested in. The store starts to suffer, and the parents become agitated that the sales and profitability are declining. It is often a downward spiral. The second option is to sell the business. The challenge here is that most owner/operators of stores can’t get what they feel is a “fair” price for the business that they helped to create and build. This isn’t to say that they have inflated the price; they just have a high expectation as to the return that they will get from the sale of an asset that they’ve put so much effort into. The third option is to have someone else run the site for them. This can happen two ways: the first is that a non-family member is hired to manage the store instead of the children. What the owners often find is that this does not remove them from the day to day problems of store operations (people not showing up for their shifts, inventory and cash loss, etc.) and that they (either the parents or the children) are still spending a lot of time in the store. Let SOURCE Help YOU Fuel Your Customers From fuel site design and EMV compliance to equipment delivery logistics and convenient equipment ordering, the Source team is committed to delivering the expert, service-driven solutions that you have come to rely on since 1979. Visit our website at sourcena.com or call toll-free 800-572-5578. Â©2017 Source, A Source North America Company. All Rights Reserved. “ The second opportunity is to outsource the business to a professional operating company such as ourselves. It will cost a bit more, but we provide a professional operations environment, provide all of the accounting and financial reporting for the store, take responsibility for all employees and employee issues, and we are responsible for excessive inventory and cash loss at the site. After the operating costs and our fees are paid, the owner keeps all of the profits generated at the site. So, in a nutshell, the owner of the business avoids all of the negative aspects of running a convenience store but gets to keep all of the financial upside (after costs and fees). The store continues to create a revenue stream for the family and the store remains a family asset that can be passed on to the next generation that wants to operate it. In the meantime, the store is operated according to the owner’s wishes. We carry the product that they want and don’t carry product that they don’t want to sell. We use our buying power to get better prices for the items that are sold in the store and the owner determines the pricing strategy and how the store is presented to the public. To be completely open, this format does not always work. We have had instances where the owner decides that retirement is not really an option. Basically, the owner becomes bored and wants to have the daily stimulus of meeting people. At this point, it is our job to transition the business back to the owner as seamlessly as possible. We have had a couple of instances where the owner, or one of the owner’s children, wants to become one of our employees. They want to be in the store every day, but they don’t want to have to make the decisions or deal with the headaches of managing people and vendors. We do our best to accommodate any type of scenario that the owner wants to pursue. introduce new technologies, products and strategies to the owner. It is up to us to prove to the owner the value of these new ideas, but it is up to the owner to decide whether he wants to implement them. Ultimately, the owner becomes comfortable with the way the business is being run and the time between visits becomes longer as we gain the owner’s trust. The transition from the original owner/operator to this format is often a delicate matter. We spend time talking with the owner and laying out a game plan that everyone is comfortable with. We talk about limits of authority and scope of decision making. We define the channels of communication and what the decision-making process will be. Once everyone is on board, then we proceed with an orderly transition from one operator to the next. Roy is the President of StrasGlobal. For 35 years StrasGlobal has been the choice of global oil brands, distressed assets managers, real estate lenders and private investors seeking a complete, turn-key retail management solution from the most experienced team in the industry. For more information, contact StrasGlobal at 512-298-0778 or info@strasburgerretail.com. Gas Pos is a new point-of-sale vendor for both convenience fuel retail and truck stop operators. Gas Pos, which has a cloud-based software-as-a-service (SaaS) format, promises to eliminate paying out-of-pocket for a fuel point-of-sale (POS) system, installation, maintenance, repair and replacement. Gas Pos is free upfront, including POS software and store and forecourt hardware, comes with a solid warranty, 24/7 help desk and free Gas Pos installation. On the truck stop side, fleet card acceptance includes Comdata®, EFS, T-Chek and TCH. Gas Pos claims a boost of up to $300,000 in additional profits with its solution. The company, though new to the space, has a tech history going back four generations and includes retail station owners among friends and family. Gas Pos has received a $1 million investment by the venture capital firm Merus Capital to execute on a national roll-out. It also has a partnership with cloud communications platform Twilio. FMN interviewed Gas POS CEO Josh Smith for some details on the new offering. 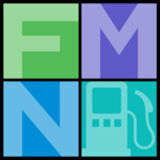 FMN: Tell us a bit about the history behind Gas POS. My family has been in technology for four generations, specifically financial technology. This goes back to when computers were run on wheels and punch cards and they were doing factoring and inventory and accounts receivable (AR) management for pharmacies. This was in the early sixties. My father then got into selling computers after serving in Vietnam. He went on from there to have a range of successful business ventures for the military and various industries—steel, coal, gaming—and in 2012 decided to look at the petroleum market. We had heard from friends and family about the changes happening with payment card industry (PCI) compliance and data security and then EMV. Gas Pos, Inc. was formed in 2016. FMN: What caused you to believe a better solution was required? Smith: A third of all interchange revenue across the country is from gas stations and truck stops. So, when we saw that people were having to upgrade equipment for end-of-life, we knew that this was a moment of change that made it possible to launch a new venture. My grandparents on both sides owned grocery stores and gas stations, so this is very much a family affair. Our focus is on independent small business owners because they’re the most at risk and they’re the most disadvantaged in this process, particularly those operating unbranded gas stations. They don’t have a rebate from an oil company to help them offset this cost. They are the most likely not to upgrade, because every three to five years as an industry we come out with something new. And the new thing typically costs $10,000 to $25,000 each time. We want to give them a more affordable option. spent eight months designing and testing an EMV upgrade module called Switchly that will plug into existing gas pumps and connect with encrypted wireless back to an in-store communication station. On the fleet side, we’re using our own systems to reach out to the networks and take authorizations on behalf of the retailers. The average truck stop is on a three- to seven-day float for their funds. We have a product coming out that will be able to give them funds the same day. We estimate an extra $50,000 a day in cashflow and with the increase in interest rates, that’s going to be ridiculously beneficial to the stops. And for a traditional bank card, we’re running those transactions directly in from the sites to the host—First Data or Worldpay or whoever. is on a three- to sevenday float for their funds. We have a product coming out that will be able to give them funds the same day. in that regard, where we’re sending the cards in for authorization and we’re providing that level-three data—a driver number, odometer, trailer number—things like that. On the over-the-road side, if it is a class 1 – 6 vehicle, the most common data is they want to know a driver ID and odometer number. We just provide the data that is requested by the networks. touch dynamic terminals. We have a partnership with the Equinox Payments and we’re going to bring their Lux series out to the market. You’ll start seeing them in many places like Macy’s and it’s a slick device. They take contactless EMV payment and near-field communication for Apple Pay and other mobile wallets. We also have a 12" tablet option if someone needs a smaller footprint. economics. Our system is delivered as a service. It doesn’t cost a dime to buy the equipment, and you install it as a completely frictionless process. We provide lifetime warranties on our equipment so that they don’t have to worry if it breaks. We charge $200 per month and that includes hardware, software support, lifetime warranty— the whole nine yards. We also help our customers improve their operations. amazing, and if it wasn’t for those guys, we wouldn’t be able to do this. What I like the best about NeXgen is that it gives us a “one to many” interface and the ability to mix and match dispensers. Maybe they want to keep an older unit from one brand on the diesel island but have another company’s product on the consumer island. NeXgen is just a great product. office integration and we have a few providers that are interested in working with us. A lot of our stores are independent, single-store operators that are just transitioning into scanning and into inventory management. My, how times have changed! And the lessons learned from Nixonâ&#x20AC;&#x2122;s meddling in the fuel markets is that the cure can be worse than the disease. Whether youâ&#x20AC;&#x2122;re a trucking professional or a tech on the shop floor, TMC is the place where the experts meet. We are the only industry association focused solely on truck technology and maintenance. Be Part of Truckingâ&#x20AC;&#x2122;s Future... Visit JoinTMC.trucking.org or call 703-838-1763 Your TMC Membership includes access to more than 400 Recommended Maintenance & Engineering Practices, available through searchable PDFs, featuring more than 3,500 pages of exclusive information with diagrams, tables, and illustrations. As an owner or operator of a propane bulk plant, you know how critical proper maintenance is. The safety of your employees, customers and neighbors depends on it. An accident, leak or explosion at a bulk propane plant is instantly a major concern and can lead to very serious consequences. At the very least, it can mean unplanned downtime to your business, which can quickly eat into your proﬁts and destroy the relationships you have with your customers who are used to reliable, on-time propane delivery. When you ensure proper propane bulk-tank maintenance and compliance, your business benefits as you can offer safe, reliable propane distribution and earn a reputation as a responsible, trusted propane supplier. 1 Does your propane bulk plant have the required Emergency Shut-Oﬀ System? When you ensure proper propane bulk-tank maintenance and compliance, your business beneﬁts as you can oﬀer safe, reliable propane distribution and earn a reputation as a responsible, trusted propane supplier. 2 Does the system work? Even if the answer to both of those questions is “yes,” there are still a number of important best practices for your bulk plant. n Design: From the original conception stage of your liqueﬁed petroleum gas (LPG) tank layout and installation, you need to have in mind all the necessary functional and safety requirements. Signiﬁcant planning is required for 18,000- and 30,000-gallon propane storage tanks with respect to space from other installations, type and quality of piping, and adequate valves and security devices. You can also plan for future expansion and save big time and money further on down the road. n Maintenance: Making maintenance diﬃcult to perform because of lack of space, complicated access and nonstandard components is an invitation to ignore it. Regular preventive maintenance is critical in maintaining a safe, functioning bulk propane plant and means less downtime throughout the year. You’ll also become more familiar with your LPG tanks and hardware and be able to predict many potential issues before they become major problems. n Inspection: Regular inspection is the only way to understand which upgrades and repairs are necessary to your LPG storage facility. Don’t wait until something fails; plan your maintenance and upgrades on a regular basis. Pay close attention to all valves, shutoﬀs and connections. Check expiration dates on ﬂexible hoses and gaskets. Verify your propane tank data plates to ensure they n Training: Training of personnel is often are properly attached, and all overlooked. It is easy to assume that once information is legible. Understand someone has been trained on the basics of your propane tank requirements your installation, training is completed. You and create a checklist to go and your employees need regular training through on a regular frequency. on standard safety practices related to the This will create good habits for use and maintenance of your bulk propane you and your employees. tanks and equipment. Organize yearly You always want to avoid any emergency drills and assess the readiness stoppages at your bulk propane of your employees. Do regular spot checks plant, either because of an accident to verify that all maintenance has been or unexpected problem. If you need performed according to plan and keep to shut down for regular meticulous documentation as proof for maintenance, you can plan to have auditor visits during your NFPA 58 or API all of the necessary equipment, 2510 compliance audit. No Problem. The one-of-a-kind Multi-Tank Upfit by Thunder Creek hauls 920 gallons of diesel without a CDL or HAZMAT endorsement. been transformed over the past 10 years by technology. When you pause and think that the iPhone has been with us a little longer than 10 years, tablets have exponentially more computing power than many of our five-year-old laptops, and that our customers can go weeks without using cash, we need to consider if our core business processes have kept pace. If you are using a white board, job tickets or Excel to keep track of your drivers’ locations and scheduling, you’re missing both information and eﬃciency. If you haven’t conducted an audit and best practices review of your fuel buying and invoicing processes, now might be the time. In visiting wholesalers and truckers, I often see a “file room” with boxes of paperwork related to the fuel buying, dispatching and inventory management processes. Looking at the buying and dispatch process often reveals the use of Excel sheets where information is cut and pasted from one source to another. Tracing the cash, there are often lags in the drop to cash cycle waiting for paperwork to be dropped off, entered into a reconciliation system and then moved to an invoicing system to create a customer invoice. On top of that, management reports are created manually, either weekly or monthly, from a variety of systems and sources that occasionally don’t agree. Is your driver dispatch board electronic? Are you minimizing misdirected loads? If you are using a white board, job tickets or Excel to keep track of your drivers’ locations and scheduling, you’re missing both information and efficiency. Modern dispatch tools are cloud-based and device independent, allowing you and your team to all be on the same page. Features such as drag and drop scheduling combined with real time load tracking both improves efficiency and eliminates “where are they” telephone calls and emails. Several things cause loads to have issues, including a load arriving earlier than requested or inaccurate fit data at time of dispatch. The best scheduling systems learn route timings and site volume by day part, allowing more accurate prediction of tank capacity at time of delivery. By tracking actual vs. planned delivery times, you can capture and review which carriers are able to follow your delivery instructions and which ones consistently deliver ahead of the delivery window. Automatically capturing gauge readings prior to terminal loading helps to minimize potential fit issues. Your price feeds capture part of the information needed to buy optimally. If your system is not able to fully capture your other costs, including freight and day buys or other special pricing, you may be leaving money on the table. How quickly can you fully invoice following delivery? Safe communication with your drivers is critical. Advancements in this area, including text to speech and positive message receipt confirmation, ensure your drivers are not distracted and that they do get relevant messages according to your safety policies. Device agnostic delivery programs can run on the Apple or Android device that your drivers are using, reducing the number of devices and distractions that are in the cab. Are you using best buy methodologies? Many fleets rely on getting the bill of lading (BOL) and delivery ticket back to the home office to invoice, a process that can have a significant impact on your working capital needs. In addition to faster cash, electronic BOL capture and closure enables automatic capturing of demurrage leveraging geofencing technology. Modern logistics systems can eliminate the need for a driver to go instore to capture a gauge reading or a delivery signature. Utilizing remote polling that can be geofence-triggered upon arrival at the site, pre and post-delivery tank readings are captured paperlessly. This automation can improve efficiency by about 15 minutes a load, which can result in an additional couple of loads over a week. Richard Browne Richard Browne, Growth and Business Development Leader at InSite360, a Veeder-Root company. Browne is a fuel and c-store veteran focused on downstream petroleum logistics and operational excellence. As a leading global supplier of fuel management solutions, Insite360 is the analytics business unit of Gilbarco Veeder-Root. Insite360 products and services handle 22 billion gallons of gasoline and diesel fuel annually. Contact Richard at rbrowne@insite360suite.com. The Cost of Non-Compliance by Steve Smith and Matt Zeise Responsible organizations understand that compliance with regulatory requirements plays a vital role in daily operations. Meeting regulatory obligations is expected by customers and shareholders and failing to meet that expectation can wreak havoc on an organization’s reputation and finances. Today’s business professional relies on technology to provide the data that guides meeting regulatory needs. Technology is needed to ensure that a firm’s motor fuel tax filing obligation is completed in a timely and accurate fashion. With so much riding on technology, how can today’s motor fuel tax professional navigate and evaluate the options available and understand what will make the most impact on their business? What to Look for In a Tax Automation Tool There are many excise tax automation tools on the market. However, not all are created equal. Here are a few points to consider when evaluating a tax automation solution. Examine what is needed to bring the system into your organization. Will you need IT resources? Will you need to install or “bolt on” software to your current back office system? Does the vendor supply a descriptive timeline about your specific implementation? A great way to evaluate a company’s support team is to look for product reviews and social media mentions about the tool. Also, investigate if the company addresses their support process on their website. Do they have a guaranteed response time? Do they provide help tools like videos and documentation within the application? Because of the vast number of excise filings available, ensure that the solution addresses the jurisdictions in which you need to file. With data analytics now at the center of 21st century business, the reporting requirements and business opportunities are changing for today’s motor fuel business. As a company changes, whether it is through growth or acquisition, can the solution change with it? Look for solutions that can handle multiple data sets from various back office systems. Transparent View of Compliance: Tax authorities are aware of the amount of data being tracked by organizations and are now requesting data reports to be part of the fuel tax reporting obligation. Organizations that do not automate their tax obligation needs are at a disadvantage as more filing entities move to a digital-only reporting structure. Organizations are moving to a data-driven model to prepare for internal and external audits. By having a data trail, it is easier to show how reports are generated and numbers are calculated for compliance reporting. A consolidated tax compliance data source can alert decision makers to trends and anomalies within a product line (for example, a decline in diesel tax payments in a specific market). Data provides a way to see these trends and better prepare an organization to address them. Challenges and Misconceptions about Moving to an Automated Tax Compliance Model Though there are many advantages to moving to a digital compliance model, many organizations struggle to get such an initiative in flight. Creating a Sense of Urgency with Leadership. Tax departments are often seen as a cost center rather than a department that can realize cost savings. The pain in the manual process is felt at the department level, so it can be a challenge to emphasize how a new approach can benefit the organization beyond time savings. Being able to link an initiative to a business goal helps elevate its potential to be approved. Identify the Decision Makers: Who will impact if the initiative will be approved or halted? Identify an Executive Sponsor: Who at an executive level can help push the initiative? Generally, this individual will take final ownership of the project’s success or failure. Expose the Proposal to Outside Criticism and Review It: People are more engaged with a project if they can provide opinion and input. Understanding ROI. Tax compliance solutions are designed to improve compliance. You may see a temporary increase in time and effort as compliance teams learn a new software tool. Organizations that make the investment in an automated solution often realize increases in ROI and other efficiencies as a result of the transition. The right tool allows tax teams to focus on other tasks by reducing the amount of time searching for inaccuracies. After implementation, companies often see fewer fines and penalties due to delays and inaccuracies. Tax compliance solutions can only handle data from one source. Nope, a reliant tax compliance system can take data from multiple back office systems and translate it into one concise compliance report. If the core data within the system is correct, a good compliance solution will be able to automate and translate the compliance result. I shouldn’t pursue an automated fuel tax solution if I have other IT needs. The right tax compliance system can be implemented regardless of other IT needs and can help with the testing of the new implementation. When you present a proposal for an automated tax solution can influence if it will be approved. Look for opportunities to tie the project with other initiatives within the organization. Will the company go through a new enterprise resource planning (ERP) implementation soon? Tying tax automation to another software infrastructure project can help boost its success. How to Approach Your CFO About an Automated Tax Solution One of the most challenging aspects of moving to a digital tax compliance solution is getting buy-in from leadership. Here are a few tips about how to design your pitch for a positive outcome. Steve Smith Matt Zeise Steve Smith is the Chief Architect, and Matt Zeise, Product Owner at IGEN. IGEN provides data automation and translation solutions with a focus on motor fuel tax compliance and reconciliation of large data sources. Through its suite of solutions, users can automate difficult business tasks and create repeatable workflow processes thereby increasing accuracy while lowering associated time constraints and work hours. To learn more about IGEN, visit www.igentax.com. Specifically, for gas, oil and energy brands, these organizations will continue to feel the effects of an order backlog into 2019 as long as they continue their asset attainment strategy based on functional obsolescence versus economic obsolescence. COMMERCIAL FUELS Monthly orders (28,082) still outperform the number of units being manufactured (27,973) as of November, and while this breach is narrowing, it continues to show astronomical demand for new trucks. Specifically, for gas, oil and energy brands, these organizations will continue to feel the effects of an order backlog into 2019 as long as they continue their asset attainment strategy based on functional obsolescence versus economic obsolescence. Corporations that shorten their asset management lifecycles based on a flexible lease model will be able to plan their substitutions better and thus avoid the discomfort associated with the current backlog. The frenzied economy means that more companies are shipping materials to job sites or goods across the country; more businesses are in need of re-stocking shelves and inventory; more consumers are in need of goods ordered online and thus the transport of those shipments; and as a result, trucks are working strenuously. Replacement and truck obtainment strategies that help the economy stay active need to be carefully deliberated as we continue into 2019 when companies take a closer look at their bottom line. When energy companies drive their trucks as long as possible, they run on functional obsolescence—making verdicts based on the truck’s ability to stay on the road. the truck’s ability to stay on the road. In most cases, when firms let the truck decree the timetable for replacement, firms are left struggling to order a new truck based off limited planning cycles. Today’s backlog of truck orders is a result of this, as the multiplier effect of many transportation firms and this ideology have caught up to them. Brian Holland Brian is President and Chief Financial Officer at Fleet Advantage, a leading innovator in truck fleet business analytics, equipment financing and lifecycle cost management. For more information visit www.FleetAdvantage.com. Fuel marketers and retailers use a variety of trucks to keep their businesses operating. These trucks are categorized by a class rating, based upon the maximum loaded weight of the truck. Wholesalers typically use Class 8 tanker trucks (33,001 pounds and over) with tank trailers with a capacity up to 12,000 U.S. gallons. The tanks typically have between two and six compartments that can store multiple products for delivery to retail outlets. Commercial mobile fuelers and home heating fuel retailers usually rely on Class 7 trucks (26,001 – 33,000 pounds). These typically have the tank integrated into the truck chassis and have been traditionally called “straight trucks,” “bobtails” or “tank wagons.” Fuel capacity is typically around 3,000 gallons. Smaller medium and light duty trucks (down to Class 1, which is the typical consumer pickup truck) are used for a range of maintenance and service tasks within the industry. Some of these even mount low-capacity tanks to provide low-volume niche services delivering tens of gallons if required. Your future. Your software. Your choice. As the industry leading software provider, we drive innovation to improve your business and your life. ∙ User-driven software development ∙ 45 years in the industry ∙ 160 employees and growing ∙ and so much more! SOFTWARE SOLUTIONS. STRATEGIC PARTNERSHIPS AND ACQUISITIONS. CAREER OPPORTUNITIES. If you’re seeking new opportunities for your business or your career, consider ADD Systems. As we continue to evolve, we’re seeking new team members, strategic partnerships and acquisitions. Find out more at go.addsys.com/choice. Eﬀective ELD systems can oﬀer features including GPS fleet tracking, two-way messaging, vehicle inspection reports, driver safety alerts and fleet analytics integration. If the ELD currently in use isn’t oﬀering these administrative benefits, resolve to choose a more sophisticated system that can save money and make for a more manageable fleet. Push for Paperless Since December 2017, the Federal Motor Carrier Safety Administration (FMCSA) has required the use of electronic logging devices, or ELDs, in commercial vehicles. But are fleet managers making the most of these logs and the increased safety, decreased time and cost-saving benefits this software has to offer? Effective ELD systems can offer features including GPS fleet tracking, two-way messaging, vehicle inspection reports, driver safety alerts and fleet analytics integration. If the ELD currently in use isn’t offering these administrative benefits, resolve to choose a more sophisticated system that can save money and make for a more manageable fleet. Look at Level III Data Level III data is transaction detail that supplements the “when” and “where” behind a purchase with the “who,” “what” and “how”—for example, information such as driver ID, product category and cost per mile. This level of data is a powerful tool when it comes to effective fleet management and when used correctly, it can help to empower the right purchasing decisions. Take time to Tailor Telematics For fleet managers, safety is a constant concern. Not only do drivers put themselves at risk every time they get behind the wheel, but vehicular accidents also represent a significant source of loss, accounting for as much as 14 percent of a fleet’s total expenses. Telematics can help managers measurably improve fleet safety by collecting real-time data on unsafe driving behaviors and monitoring vehicle locations, engine diagnostics, fuel usage and more. With telematics, decision-makers can adopt a proactive, rather than reactive, approach to fleet safety, better customize driver training and coaching programs, minimize accident rates and even reduce fleet insurance premiums. Take a look at the telematics you’re currently collecting and see how this information can be put to even greater use. Or, if you’re just getting to grips with this data, see how it can be tailored to make managing a fleet simpler for this year and beyond. Make the Most of Machine Learning Whether it’s Netflix recommending shows it thinks we’ll enjoy or Facebook automatically tagging friends in photos, machine learning algorithms are an ever-increasing element of daily life. And just as they make social media or streaming simpler, they can likewise improve fleet management. Using algorithms that iteratively learn from data, machine learning allows computers to find hidden insights without being explicitly programmed where to look—for example in fleets, tracking the cost of fuel purchases along routes and using this information to suggest gas stations that will make overall fuel costs lower. Bernie Kavanaugh Bernie is Senior Vice President and General Manager of Large Fleet at WEX, Inc. Powered by the belief that complex payment systems can be made simple, WEX Inc. (NYSE: WEX) is a leading provider of payment processing and business solutions across a wide spectrum of sectors, including fleet, travel and healthcare. For more information, visit www.wexinc.com. Delve deeper into Level III data throughout 2019 to see how its associated purchasing controls can prevent fuel card fraud and misuse, identify taxes for exemption and streamline operations. Weigh Stations and Bypass Evolve with Technology by Brian Mofford If you look at today’s big rig and compare it to a 2008 model, the technological advancements would boggle the mind. The safety options alone make today’s truck able to literally drive itself. What about the rest of the industry—weigh stations and bypass in particular? Major advancements there as well. The weigh station your father may have seen is a far cry from today’s weigh station. Gone are the days when inspection officers trusted just their luck in choosing which vehicles need to go through a Level 3 inspection. Today, technology makes sure inspection officers are spending their time looking at the trucks that need to be inspected. That’s because “smart” roadside weigh stations dot the United States and Canada, with more being added each month. These technology-filled stations feature a bevy of advancements, including vehicle waveform identification and advanced thermal imaging systems. Much of this technology was developed and patented by Drivewyze’s sister company, Intelligent Imaging Systems. (IIS). At the heart of many systems is IIS’ thermal inspection technology, which can heat-sense thermal signatures associated with unsafe and defective equipment such as inoperative brakes, failed bearings and underinflated or damaged tires. Advanced image processing, coupled with decision-making algorithms within screening software, searches and flags possible defects for a more thorough inspection. It’s a huge time saver for law enforcement and lets inspectors focus more of their time on the trucks that truly need checking. At the heart of many systems is IIS’ thermal inspection technology, which can heat-sense thermal signatures associated with unsafe and defective equipment such as inoperative brakes, failed bearings and under-inflated or damaged tires. In addition, more states (often through their weigh station bypass partners) are adding weigh-in-motion sensors in the roadway. That data is transmitted too, allowing the system to compare current readings to historical weight data gathered at various other statewide locations. To ensure data from those weight readings are assigned to the right truck and trailer, an electronic screening platform can gather data via vehicle waveform identification (VWI). This uses magnetometers mounted on overhead signs to identify vehicles by measuring the truck and trailer’s magnetic “signature.” Each truck and trailer, even those spec’d identically, generate a unique magnetic footprint. While the signature changes over time, VWI can still recognize the readings and assign them to the corresponding trucks and trailers with a high degree of accuracy. For general truck information, overhead (strobe) cameras can read license plates and DOT numbers day or night to help inspectors and officers identify the corresponding carrier information, such as vehicle registration and fuel tax records. a smartphone. Drivewyze, for example, uses a cloud-based software-as-a-service system that leverages cellular networks and the Internet to add transponder-like functionality to electronic logging devices (ELDs) and mobile devices such as tablets and mobile phones. It’s simple—no hardware—and it’s loaded and ready to use on many ELDs for fast activation. The safer the fleet, the more likely bypasses occur. Everyone is also subject to a random factor requiring an occasional pull-in. For those not familiar with how bypass works, here’s how. Under our system, it detects when you’re approaching a fixed weigh station or temporary inspection site that is Drivewyze enabled. Two miles out, thanks to geo-fencing, the service alerts the driver of the upcoming site, while at the same time transmitting the carrier’s information to the weigh station. In many states, with weigh-in-motion technology, that information is also transmitted once the truck runs over the sensors. At the weigh station, safety scores, registration and IFTA tax compliance is automatically examined and calculated against the bypass criteria established by each state. If the carrier and vehicle pass the criteria, at one mile out, the driver receives permission to bypass the site. The driver is signaled to pull-in if there’s an issue or if the random algorithm indicates it is time for a pull-in. Cellular technology also benefits states. Weigh stations themselves don’t require the installation of expensive transponder poles and readers. This allows states, which want to offer bypass opportunities to fleets, to get up and running quickly, with no infrastructure cost. Brian is Vice President of Technology at Drivewyze and has more than 20 years of experience in Information Technology and Software Engineering. Brian led the development and launch of the Drivewyze™ PreClear weigh station bypass service, which was released commercially in August 2012. Keeping Your Injectors Clean: A Year-Round Need Spring has sprung--but fuels still need additives to perform optimally! Detergent additives are a must to keep your equipment up and running, reducing maintenance costs and downtime. Contact MCC today to learn more about our fuel additive programs, including TOP TIER™ Diesel, TOP TIER™ Detergent Gasoline and other custom fuel additive packages! Many young men and women entering the workforce today not only lack the earning potential of a fuel haul truck driver but start their professional life deep in a financial aid hole. Everything I Need to Know I Learned at the Movies For the past 30 years I’ve been under the impression that EPA compliance rules and regulations have actually been successfully working for the purposes for which they were originally intended. Not that the new rules won’t work, but if it ain’t broke, don’t fix it! It’s almost as if somebody in Washington is getting instructions from outer space! The new 30-day rules unfortunately are not all that new. The recent EPA mandate first was published and actually became the rule in 2015. States’ enforcement of the 30-day rule only became aggressive throughout the U.S. during the past year. For the informed, we all should have seen this aggressive enforcement coming. Every Star Trek fan knows when you hear these words, it’s pretty much over! Same thing for EPA-mandated petroleum storage tank (PST) regulations and enforcement. Today, when it comes to compliance rules and regulations, all active PST owners and operators’ compliance efforts are being aggressively scrutinized by state regulators. Previously, most monthly SIR users collected data throughout the month and sent it to their SIR provider after the month was complete. The SIR provider then returned the reports and results to the client in a few days. At that time, the client began resolving any issues in the data or results. This is no longer allowed due to the 30-day rule. BUSINESS OPERATIONS prove that you are taking compliance seriously is to produce, with little to no warning, the past 12 months of passing records. Talking your way out of a fine for non-PST compliance from a state regulator is not the same as talking your way out of a speeding ticket or coming home late from playing golf. And 30-day compliance isn’t as easy as it sounds. The time required to produce the required results before the end of a two-day deadline is very difficult. Henry Wadsworth Longfellow once said, “It takes less time to do things right than to explain why you did it wrong.” The state absolutely will not care how you did compliance from years past and using all of the classic concepts for getting out of trouble will not work, either. You are not going to be able to smooth-talk your way out of non-compliance. Changing a proven workable process is not only confusing, but also problematic when it comes to the implementation of a newer, lesser understood process. One option is for tank owners and operators to perform a SIR analysis every 15 days using the last 30 days of data. Or, in other words, to have a running 30 days of data every 15 days. This option results in a more frequent analysis of the PST system’s leak status and is the preferred EPA process. It allows owners and operators to meet the release detection requirement in a timelier fashion for complying with the 30-day mandate. Brian Reynolds Brian began his career working as a teenager in his family-owned jobbership in Cisco, Texas and was at the forefront of many significant industry milestones. Reynolds was an early adopter of cardlock systems in the 1980s, a pioneer of high-volume supermarket fueling centers in the 1990s and one of the key architects of inventing reward-based fueling loyalty in the 2000s. He currently works for Dover Fueling Solutions in ClearView, wet stock management sales.Contact Brian at Brian.Reynolds@DoverFS.com or cell 325-733-6490. FMN interviewed OPW President Kevin Long on OPW’s acquisition strategy and how the solutions are being brought to market. 2013 OPW acquired Fibrelite, which launched the first composite access covers for the retail petroleum industry in the 1980s. It also acquired KPS, which pioneered the use of high-density polyethylene (HDPE) fusion piping systems for fueling stations in the 1990s. 2014 OPW acquired Australia-based Liquip International, a leading designer and manufacturer of bulk liquid handling and storage solutions in the petroleum, aviation and chemical markets. 2016 Parent company Dover acquires Paris, France-based Tokheim, a leading manufacturer of fuel dispensers, retail automation systems and payment solutions and integrates the company into OPW. This allowed OPW to oﬀer an end-to-end fuel site solution. 2016 OPW acquired Tokheim ProGauge, which provides automatic tank gauge solutions, including a variety of tank probes, consoles and related software and calibration services for service stations. 2016 OPW acquired UK’s Fairbanks Environmental Ltd., a global leader in providing fuel management services to the retail and commercial fueling industry. 2016 Dover Corporation completed the acquisition of Wayne Fueling Systems Ltd. and announces that it will join Tokheim, ProGauge, Fairbanks and OPW Fuel Management Systems in a new business unit named Dover Fueling Solutions. The new entity provides advanced fuel-dispensing equipment, payment systems, automatic tank gauging and wetstock-management solutions. 2019 OPW acquired Belanger, a leading manufacturer of vehicle wash equipment and systems. It joins PDQ (initially acquired by Dover in 1998) as OPW’s car wash component. What drives your acquisition strategy? Long: OPW’s acquisition strategy is geared toward realizing our “Defining What’s Next” corporate philosophy. OPW strives to acquire companies that reflect our commitment to oﬀering innovative solutions that protect people and the environment while improving the business performance of our customers in the markets in which they operate. From a financial standpoint, we seek to acquire market-leading profitable and growing businesses supplying equipment and components that ensure safe and efficient transfer and handling of critical fluids as part of complex processes and supply chains. To that end, our recent acquisition of Belanger, Inc., is a great fit. What are some of the unique capabilities the various acquisitions brought to the table? Long: The main goals of any acquisition are twofold: 1) acquire companies that are capable of integrating into the OPW corporate culture, which focuses on delivering best-in-class products and services to our customers and creating a fulfilling environment for our people and, 2) improve our value proposition and add value to the product oﬀering, keeping in mind that our customers’ success is a key focus for all of us at OPW. From a branding standpoint (and operationally as well), explain how Dover Corporation’s OPW and Dover Fueling Solutions product families are structured and how the brands are positioned. Long: OPW and Dover Fueling Solutions are two separate operating companies within the Dover Fluids segment. Dover Fueling Solutions delivers advanced fuel dispensing equipment, payment, automatic tank gauging and wetstock management solutions for the retail fueling industry. OPW delivers piping and containment, vehicle wash systems, tank valves and fittings, vapor recovery systems and nozzles and accessories for a variety of applications across the retail fueling industry. The combined product portfolio between Dover Fueling Solutions and OPW represents the industry’s only endto-end fueling solution for both pressure fueling systems and suction fueling systems. FMN: The Belanger acquisition in addition to PDQ shows a focus on the car wash segment. While this was hit hard by the recession of 2008, it is certainly rebounding. How do you see that market segment moving forward? Similarly, how will PDQ and Belanger be operated after the acquisition? Will both brands remain? How about their specific product lines? R&D, etc.? Long: PDQ and Belanger brands will continue to serve the vehicle wash market with their products as part of OPW’s Vehicle Wash Solutions business. Both PDQ and Belanger have spent many years building their reputations as leaders and true innovators in automatic in-bay and conveyorized tunnel vehicle wash solutions. The business will work across both brands to identify and share technologies and best practices that will advance the best that both brands have to oﬀer the industry. Most importantly, the teaming of PDQ and Belanger will allow OPW to provide customers with the most comprehensive end-toend portfolio of vehicle wash solutions. Acquisitions provide opportunities for enhanced operational efficiencies, but historically some acquisition models have been more short-term focused while others more long-term. How do you strike the right balance between efficiency and areas like customer service to an installed base that might have concerns? Long: Dover and OPW have a long history of successful acquisitions—we understand the value of “do no harm” when it comes to integrating acquired businesses. When considering acquisitions, OPW evaluates how it would integrate the new company with minimal disruptions to customers while positioning it for future growth. Great time and energy are focused on integration planning and careful execution management, and we leverage the expertise Dover Corporation has built over many years of acquisitions. We have a track record of investing in our businesses, and any acquisition is pursued with the strategy of improving our customers’ and employees’ futures. How do you see the U.S. vs. international markets today? increased from 5.8 percent to 6.9 percent between 2013 and 2017. * Lockton’s claim denial benchmarking study digs into this increase in denials and addresses how it is impacting employers. Employers have access to more data than ever before and are increasingly using it to drive decisions. This study suggests that there is opportunity for improvement. Fatigue is frequently cited in many accident investigation reports as a contributing factor in vehicle crashes, often due to lack of rest stops or inadequate sleep. The use of cruise control may be adding to the eﬀects of driver fatigue resulting in reduced vehicle control. Stress non-work related. Failure to report accident timely. *For data valued at 12 months. No medical evidence of injury. Denials that sck at 12 mos. Denials that convert at 12 mos. Is a high denial rate in the employer’s best interest? What is driving this increase? While some of these denials are sustained and do not pay out, Lockton Analytics found that on average, 67 percent of initial denials convert to paid claims by 12 months. Think about that for a minute: on average, more than two out of three denied claims will pay out! In an ideal world, employers would have deniable sustainability of 100 percent, with no claims that convert to a paid status. Special Consideration: While this article discusses the ﬁnancial impact of claim denials for employers, there is an added emotional and ﬁnancial toll on individual claimants as well. Aﬀected employees may be waiting on claims to pay out for lost-time wages or medical bill costs, so even minor delays in the claim process can have farreaching impacts. A view of distrust toward the employee drives lowered productivity and soft costs to the employer that are diﬃcult to quantify, but real nonetheless. When considering the reasons for denial, it might be worth knowing that some have much higher conversion rates than others. Aggressively denying claims saves money, right? Not so fast! Let’s take a closer look. Lockton found that the average net incurred value of a claim that is accepted and pays out is $10,153. However, the average for a claim that is denied, and then pays out, is $15,694. That is a 55 percent increase for denied claims! It is worth noting that while non-denied claims have some minor development after 36 months, denied claims still see signiﬁcant development for at least an additional two years. Lockton’s study stopped at 60 months because more than 97 percent of claims were closed by that point, regardless of denial status. Expense on denied claims is nearly triple the amount of non-denied claim expense, making it the primary driver of the wedge between denied and nondenied costs. Indemnity is also less favorable on average for denied claims by about $2,585. The only bucket that is favorably impacted by denying claims is medical costs, where employers average a $548 decrease. The extra eﬀort involved in denial management, which often includes litigation, can trip up eﬀorts to manage overall costs. Often, employers feel that benchmarks may not apply to them because operating and ﬁnancial metrics can vary by industry. Lockton’s study conﬁrms that signiﬁcant diﬀerences exist in average claim costs across industries. We selected the three industries in the study with the highest claim volume for a deeper dive. In every industry, converted denials cost more than non-denied claims. But some industries have signiﬁcant variations from the overall averages. Healthcare (NAICS Industry 62) experiences lower average net incurred costs than overall norms. However, Administrative and Support and Waste Management and Remediation Services (NAICS Industry 56) and Manufacturing (NAICS Industries 31, 32 and 33) incur higher claim costs than the national average. Denial outcomes vary by state due to state-speciﬁc regulations and diﬀering legal issues. Employers with a high employee concentration in one state will want to consider that state’s characteristics when comparing to benchmarks. Lockton looked into the three states with the highest claim counts in the study: California, Florida and Texas. California has a very high conversion rate compared to the national average, while a lower percentage of denials convert in Florida and Texas. Texas has seen that conversion rate climb rapidly during the past ﬁve years from about 47 percent in 2013 to 61 percent in 2017. When we look at average claim costs by state, California has much higher net incurred values than the national averages for both non-denied and denied claims. This state is prone to much higher litigation rates than others and has the highest ratio of loss adjustment expense (LAE) to losses. Florida experiences incurred costs that are slightly favorable to national averages. Texas is at the opposite end of this spectrum from California, with lower than average net incurred costs. Texas even tends to see a beneﬁt on denied claims. Attorney involvement is a signiﬁcant cost driver in denied claims. It is in an employer’s best interest to be cognizant of workers’ rights and what constitutes adequate compensation from the start. While many outcomes are possible, the decision between accepting and denying a claim can lead to a large variance in the average outcome. Important! In many states, when a claim is denied, the employer loses the right to guide the employee’s medical care with an employerpreferred provider. In these states, employees may then seek care from any provider and for however long that provider believes is best. It should be no surprise that 70.6 percent of denied lost-time claims will be litigated, which is more than twice the litigation rate for nondenied lost time claims of 27.5 percent. While some employees may be able to appeal denials without legal counsel, many do not have the legal background required to successfully move forward. Keep in mind that the initial denial rate is only the ﬁrst piece of the story. Take a closer look at your company’s converted denial rate, and whether savings from indemnity and medical costs are enough to oﬀset increased expense on denied claims that end up paying out. Many times, that expense could have been saved if the claim had been paid from the outset. A converted claim is deﬁned as any claim that has incurred indemnity or medical costs. This excludes both zero-dollar claims, as well as those that only have expense dollars. While both averages and medians were reviewed, averages were selected given that the term is more widely used by employers and within claim departments. To minimize the impact of catastrophic claims on averages, any claim with an incurred value of $250,000 or greater was removed from the data set. Having those higher-dollar claims in the averages did not change conclusions but did increase the average dollar amounts. More than 6,000 professionals at Lockton provide 50,000 clients around the world with risk management, insurance and employee benefits consulting services that improve their businesses. For more information, contact Greg Cushard, Sr. Vice President Lockton Insurance Brokers at cell: 916-730-4849 or office: 415-568-4115, email: gcushard@lockton.com. Pipelines are being rerouted towards the coasts and the tankers are leaving the U.S. full instead of empty. This shift has resulted in some logistical issuesâ&#x20AC;&#x201D; but what a nice problem to have. Advanced Fuel Solutions, Inc. (AFS) develops, brands and markets nextgeneration premium fuel treatments for wholesalers, dealers, jobbers and fleets all over the country. While we will confidently put our suite of advanced multifunctional additive packages (which collectively treat all middle distillate fuels) against any on the market today, our customers tell us it is our commitment to service, reliability and quality assurance that distances our brand from the field. Established in 1996, we have built our business strategically and thoughtfully, one customer at a time. We are mindful that the rate of our growth never eclipses the quality of our service, and that the solutions we provide never cost more than the value they return. We’re proud to say that our very first customer is still with us today. At AFS, we treat our customers as carefully as we treat their fuel. Our field-proven products include OPT-AF™, ODT-21™, AWDA 1500™ and Slipstream® Premium Marine Fuel. Afton Chemical, with over 90 years of experience in the fuel and lubricant additives marketplace, is one of the largest additive suppliers in the world. Afton Chemical Corporation uses its formulation, engineering and marketing expertise to help their customers develop and market fuels and lubricants that reduce emissions, improve fuel economy, extend equipment life, improve operator satisfaction and lower the total cost of vehicle and equipment operation. Afton Chemical Corporation develops and sells an extensive line of unique additives for gasoline and distillate fuels, driveline fluids, engine oils and industrial lubricants. Afton Chemical Corporation supports global operations through regional headquarters located in Asia Pacific, EMEAI, Latin America and North America. Afton Chemical Corporation is headquartered in Richmond, Virginia. Biobor Fuel Additives has been a worldwide leader in the treatment of diesel, jet fuel and gasoline since 1965. The company’s flagship product, Biobor JF, is a widely used and recommended biocide for diesel and jet fuel, carrying an extensive list of OEM approvals from some of the world’s largest engine manufacturers. Additionally, Biobor produces a full line of diesel conditioners, cold flow improvers, detergents, cetane improvers and lubricity additives, solving a wide range of today’s fuel related issues. Fuel retailers across the country use Biobor JF as part of a regular maintenance program to keep storage tanks free from microbial contamination, while also offering consumer packaged products to diesel and gasoline customers. Bulk treatment programs are available with summer and winter premium diesel additives to offer your customers a premium fuel with added value. Navigate through 300 exhibit booths, learn from subject-matter experts, and connect with thousands of industry influencers who, just like you, are advancing the convenience retailing, grocery, and fuel marketing industries in Texas. Infineum is a world leader in the formulation, manufacturing and marketing of petroleum additives for lubricants and fuels. Established in January 1999, Infineum is a joint venture of two of the most respected names in lubricants and fuels, ExxonMobil and Shell. Infineum delivers a wide range of fuel additives that enhance existing fuel properties (such as cold flow and lubricity) and bring unique performance features to enable fuel marketers to differentiate their products. Through research and development, we are continually improving our additives to meet new environmental and business challenges. Our products have demonstrated reliable and harms-free performance over the range of fossil distillate fuels and their blends with biodiesel, and in a variety of heavy fuel oils, crude oils and waxy raffinates. Our robust operations and global network mean we deliver with maximum reliability and minimum risk. The Lubrizol Corporation, a Berkshire Hathaway company, is a market-driven global company that combines complex, specialty chemicals to optimize the quality, performance and value of customers’ products while reducing their environmental impact. It is a leader at combining market insights with chemistry and application capabilities to deliver valuable solutions to customers in the global transportation, industrial and consumer markets. Technologies include lubricant additives for engine oils, driveline and other transportation-related fluids, industrial lubricants, as well as additives for gasoline and diesel fuel. In addition, Lubrizol makes ingredients and additives for home care, personal care and skin care products and specialty materials encompassing polymer and coatings technologies, along with polymer-based pharmaceutical and medical device solutions. With headquarters in Wickliffe, Ohio, Lubrizol owns and operates manufacturing facilities in 17 countries, as well as sales and technical offices around the world. Founded in 1928, Lubrizol has approximately 8,700 employees worldwide. Innospec Fuel Specialties Innospec is a global specialty chemicals company focused on bringing innovative new technologies to market, combined with a fast and responsive service. Untreated fuels can lead to an excess of corrosion, injector fouling and harmful emissions. Innospec’s Performance Specialties fuel additives offer a wide range of solutions to upgrade the performance of fuels. Innospec is solely dedicated to fuel and fuel additive technology. Our team is focused on the high performance premium diesel and gasoline markets. Whether a customer is looking to open up new markets, develop new products or optimize performance of a particular type of fuel, our team has the market knowledge, technical expertise and capability to deliver customer- and application-specific fuel treatments. Over 6.8 Million Page Views* and Climbing! 270,000 Monthly Readers 950,000+ Monthly Page Views 6.8 Million+ Total Page Views and Counting for 2019! Thank you for making us the Number One Ranked Fuels & Convenience News Website! 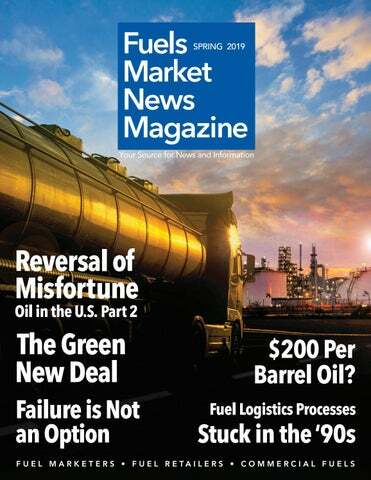 The list below represents acronyms used in this issue of Fuels Market News.